At a glance, these matchups are great. They represent some of the best talent possessed by the 185 and 205-pound divisions, and should both be fairly competitive. The thing is, MMA fans are engaged, discerning, and naturally skeptical. They rarely just glance at anything, and that’s where the trouble begins. Upon closer examination, the awarding of title shots to Luke Rockhold and Alexander Gustafsson is not so flawless a bit of matchmaking. Naturally, that has a lot to do with whether or not either guy deserves it. The more important issue, however, is whether somebody else deserves it more than either guy. 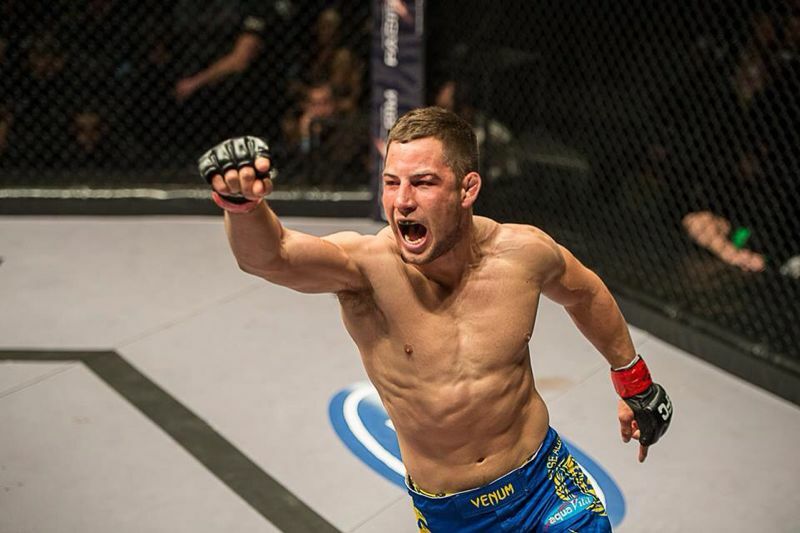 In the case of Luke Rockhold and Chris Weidman’s increasingly untouchable middleweight crown, the other, arguably more deserving contender is fairly obvious. We’re talking, of course, about Ronaldo “Jacare” Souza, a Brazilian monster who, were it not for Rockhold’s streak, would undoubtedly have earned a title shot. 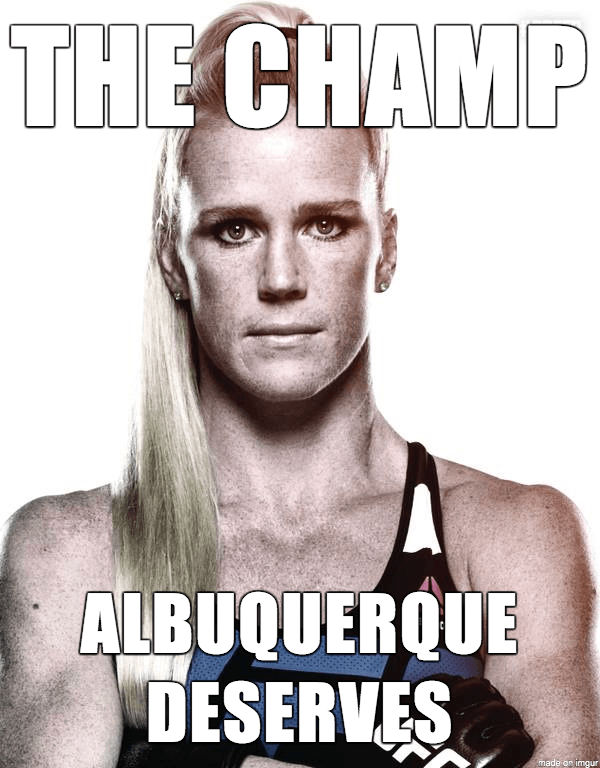 In the case of Gustafsson’s title shot, the fighter who arguably deserves it more is Ryan Bader, a good, but as of yet not great, fighter with a four fight win-streak and a saleable gripe with Cormier to his name. In the cases of both the middleweight and light heavyweight titles, there are many who believe quite fervently that Rockhold and Gustafsson’s title shots should have instead gone to Jacare and Bader. While these claims are certainly fair, let’s play devil’s advocate. We’ll start with the Rockhold. The most obvious piece of evidence in the Rockhold-over-Jacare debate is that Rockhold has defeated Jacare before. The two fought back in 2011, and on that night, Rockhold came out on top. Now, some might argue that that fight was almost five years ago, that it was a fairly close contest, and that both men have evolved into entirely different animals since then. Fair claims, but in deciding who would get the first shot at Weidman’s title, Rockhold and Jacare were playing a game of inches. The fact that Rockhold had beat Jacare before turned out to be a pretty valuable inch. Then of course, there’s the money factor. We’ve all heard the whispers. This might finally be the year that the UFC touches down in Chris Weidman’s native New York. In that event, no main event for Madison Square Garden makes more sense than one featuring Weidman. Of course, he’d need a marketable challenger. Luke Rockhold is just that: a well-groomed, telegenic fighter and more importantly, an English-speaker who can engage the champ in a hype-generating war of words. Yes, despite the relative worthlessness of his recent, repeat win over Chris Camozzi, Jacare is as deserving a contender as there’s ever been. At this stage, however, with a possible MSG show looming, Rockhold is just the smarter business choice for the UFC. Dollars make sense. Then there’s the Alexander Gustafsson title shot, which is admittedly harder to defend. Why? Well, because he’s coming of a knockout loss, courtesy of a few Anthony “Rumble” Johnson falcon punches. Typically, at least in the realm of logic and sensibility, losses don’t earn title shots. But Gustafsson is a special fighter. Not only does he own a strong resume with wins over game fighters like Thiago Silva, Mauricio “Shogun” Rua, and Jimi Manuwa, but he also gave Jon Jones, a seemingly unbeatable champion, the toughest fight of his career. In fact, many fans believe Gustafsson did enough to dethrone Jones. And though the Swedish sharpshooter has slowed since then, he is still carried by the momentum of that razor-thin title fight. We’ve seen what he is capable of when he’s inspired, when he’s got the scent of glory in his nostrils, and though he’ll certainly be an underdog against Cormier, that makes him an intriguing challenger. 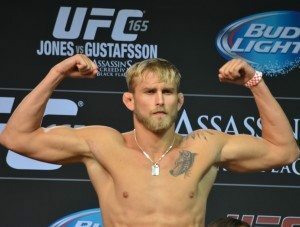 Despite his recent loss, Gustafsson can still capture the imagination of the fans, and that’s why he’s getting the shot. Yes, on paper, Bader is certainly a more deserving challenger. He’s on a four-fight win-streak with triumphs over men like Rafael “Feijao” Cavalcante, Ovince St. Preux, and Phil Davis. The thing to remember is that MMA is not a game of paper. If title challengers were always determined by what makes sense on paper, then when Jones was stripped of his title, the division’s new king would have been determined by Rumble and Ryan Bader, not Rumble and Cormier, who was coming off a loss at the time. Yet the UFC chose Cormier anyway, because he could captivate the imagination of fight fans as a challenger. The MMA world could picture him with a belt. Imagining Bader, who has lost every high-stakes fight of his career, in that situation was a little more difficult. And that’s what it comes down to. Gustafsson has nearly reached the mountaintop before and so we can picture him doing it again. That means we’ll buy the pay-per-view. Bader, though an absolute beast, still hasn’t quite erased the memories of lopsided losses to Jon Jones, Lyoto Machida, Glover Teixera, and of course, a geriatric Tito Ortiz. He’s still got a little bit of work to do, and until then, Gustafsson will keep the divisional passenger seat warm for him.